Changes to ‘stress testing’ and cheaper fixed-rate mortgage deals are making it easier for landlords to expand and refinance their portfolios. With tax relief cuts continuing to eat away at their profits, it’s been a tough year for landlords – and that trend could be set to continue in 2019, when the letting fees ban is set to come into force. There are some signs, however, that things are getting better for investors in the buy-to-let mortgage market. Here, we round up several key mortgage developments for landlords and offer advice on getting a buy-to-let mortgage. For expert advice from our whole-of-market mortgage brokers, call Which? Mortgage Advisers on 0800 197 8461. When landlords apply for a mortgage, they need to prove their rental income will be enough to meet the mortgage payments and cover additional expenses such as maintenance and void periods. With this in mind, lenders set interest cover ratios (ICRs). If a lender’s ICR is 145% – a common figure – that means the projected rental income must cover a minimum of 145% of the proposed mortgage payments. Tipton & Coseley Building Society, however, has now reduced its ICR to 125% for basic-rate taxpayers and 130% for higher-rate taxpayers. This move has potentially opened up a new lending avenue for some landlords. The building society has also reduced its minimum application age from 25 to 21. Cammy Amaira of Tipton & Coseley says: ‘Recent cuts to tax relief have made buy-to-let investing more challenging for new and experienced landlords. Some lenders already use ICR levels lower than 145% if the applicant has a big deposit, is a lower-rate taxpayer or has formed a buy-to-let company. It’s always worth seeking advice from a whole-of-market mortgage broker, who will be able to recommend the right lender for your specific circumstances. There’s more good news for landlords in the form of low-cost mortgage deals. In October, five-year fixed-rate buy-to-let mortgages hit their lowest rates on record, according to data from Moneyfacts. 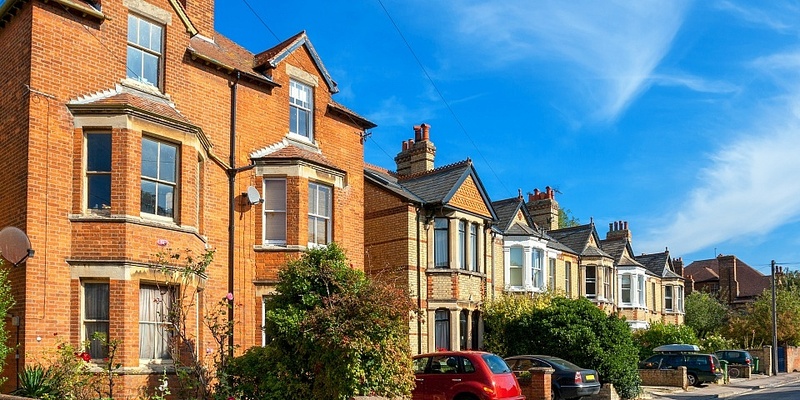 This ties in with the wider trend of longer-term fixes becoming more popular this year, as economic uncertainty and the possibility of further base rate increases has prompted many landlords to lock in their rates for longer. Indeed, data from Mortgages for Business shows that in the third quarter of 2018, 73% of landlords who fixed their mortgage opted for a five-year term. And while overall mortgage rates have started to increase again in the past couple of months – as shown in the chart below – they still remain highly competitive. Five-year fixes are currently flavour of the month, but some landlords are opting to secure low rates for even longer by taking out 10-year fixed-rate deals. While decade-long deals are still fairly unusual in the buy-to-let sector, there are signs of a trend emerging. The latest lender to offer a 10-year product is Nationwide (under its landlord brand The Mortgage Works). Priced at 2.74%, this fix is available at 65% loan-to-value and comes with a fee of £1,995 and cashback of £250. As with any long-term fix, landlords will need to factor in early repayment charges (ERCs), which would apply if you chose to exit the mortgage at any point during the 10-year period. If this puts you off, Nationwide has also launched another 1o-year fix which carries no ERCs after the first five years, albeit with a higher initial rate of 3.4%. Portfolio landlords have had a very frustrating couple of years, with tightened affordability rules resulting in applications stalling and some investors being locked out of further borrowing. While it remains to be seen whether banks will loosen their lending criteria in 2019, there are signs that the glacial pace of processing applications could improve. The specialist lender Paragon claims a new partnership with the software developer eTech will allow it to implement a system to streamline the process of applying for finance, while still adhering to the strict rules put into place by the Bank of England’s Prudential Regulation Authority. That means portfolio landlords could see at least one major frustration eased in 2019. Find out more: should you use a managing agent? Whether you’re a first-time investor, are thinking of expanding your portfolio or need to remortgage to a better deal, it’s well worth getting a professional recommendation on the best deal for you. For a free consultation, call Which? Mortgage Advisers on 0800 197 8461 or fill in the form below for a free call back.